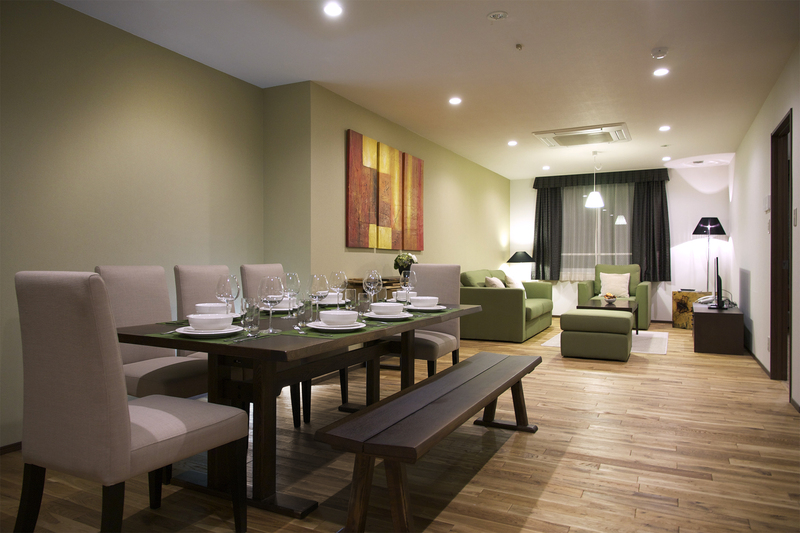 With 11 apartments in a low density modern building, Hakuba Grand Apartments is perfect for families, couples and large corporate groups alike. 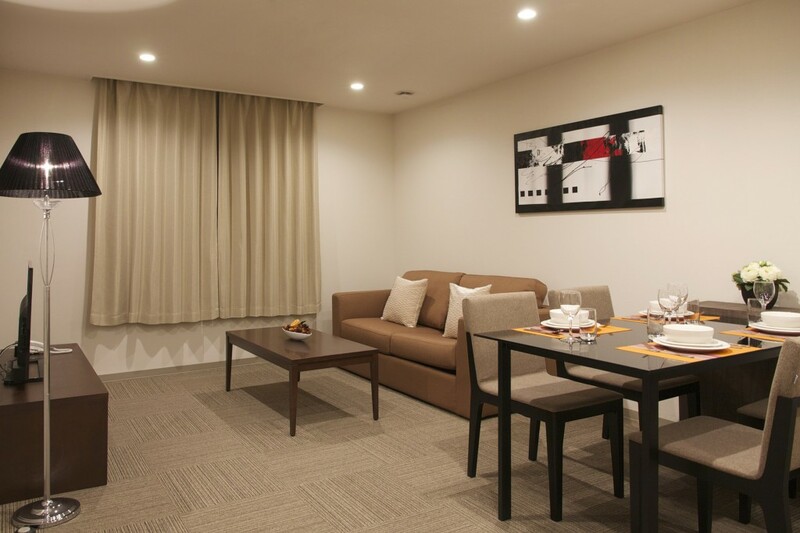 There are three styles of accommodation including four units of one-bedroom apartments, six units of two-bedroom apartments and one luxury penthouse with three bedrooms. 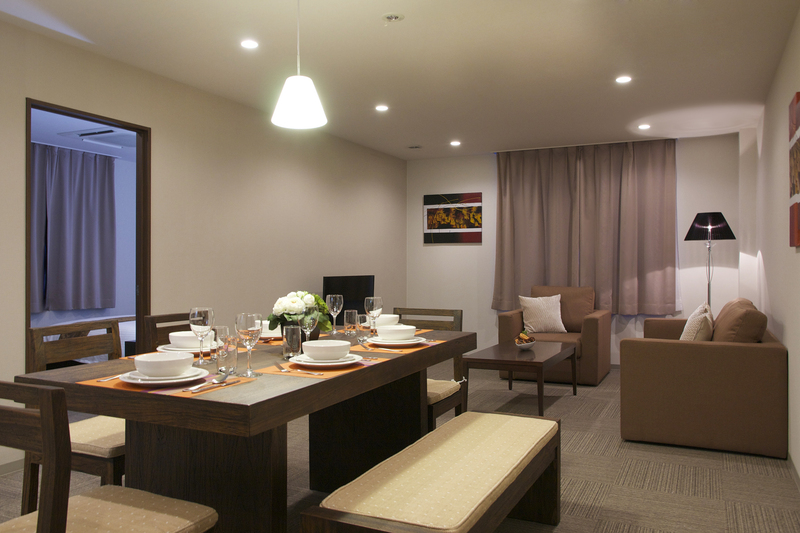 All apartments are spacious and designed to provide comfort and luxury amongst all your modern living needs. Fully equipped kitchens are available in all apartments to add to your convenience. Welcome packs with your basic grocery needs will be made available to all apartments upon check in. 1 en-suite bathroom with separate W.C.
2 en-suite bathrooms with separate W.C.